Propaganda and Alma discuss the effects of hyper masculinity, telenovelas, Issa Rae and more! This week, Prop and Alma examine the latest in pop culture, current events and politics. 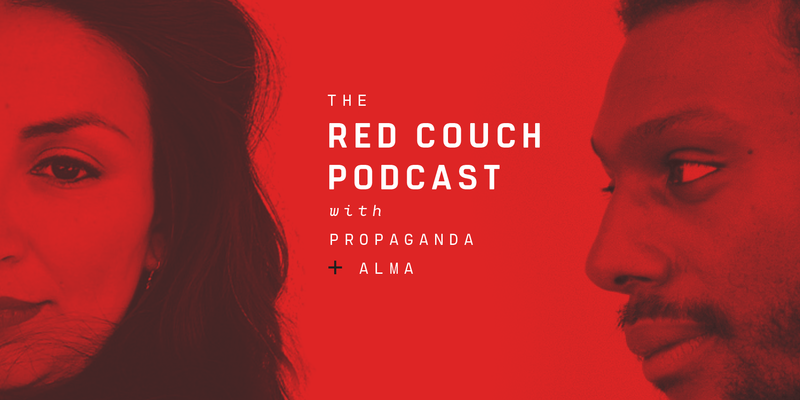 THE RED COUCH PODCAST WITH PROPAGANDA AND ALMA Series Preview — Premiering May 17! The Red Couch Podcast with Propaganda and AlmaSeries Preview — Premiering May 17!